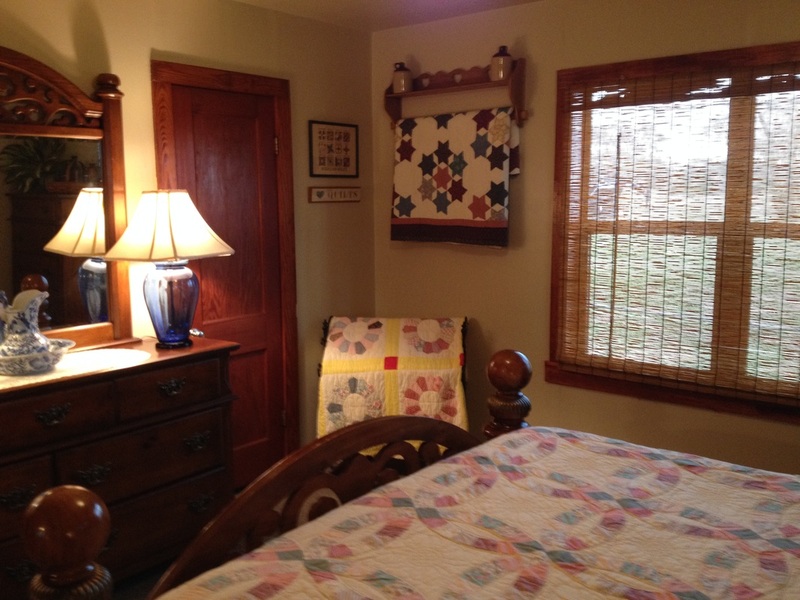 The KO Guest Haus was originally built by my German ancestors in 1955 and recently remodeled and decorated to resemble a quaint country home from the time period. 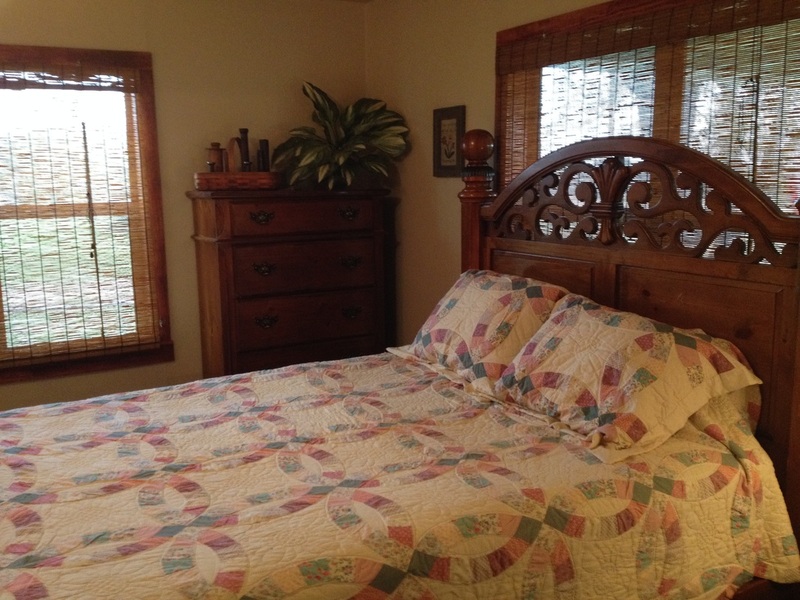 The KO Guest Haus is located in the peaceful countryside of Frelsburg, Texas, just one mile north of "downtown" Frelsburg on McElroy Lane. Enjoy time on the front porch swing or rockers while you take in the beautiful scenery. 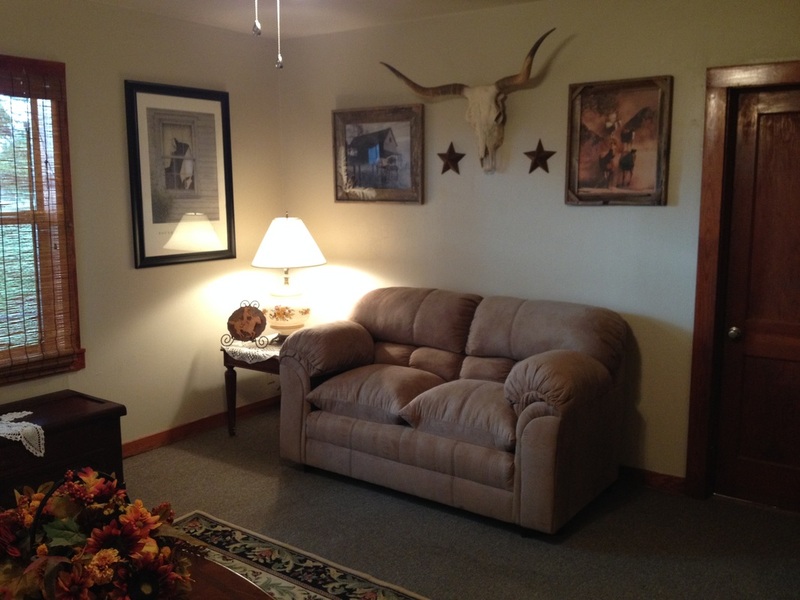 This guest house has local TV channels and a DVD player as well as a kitchen with all appliances (bring your own food). 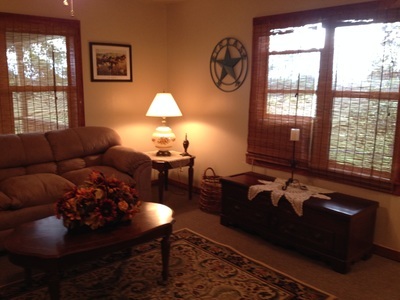 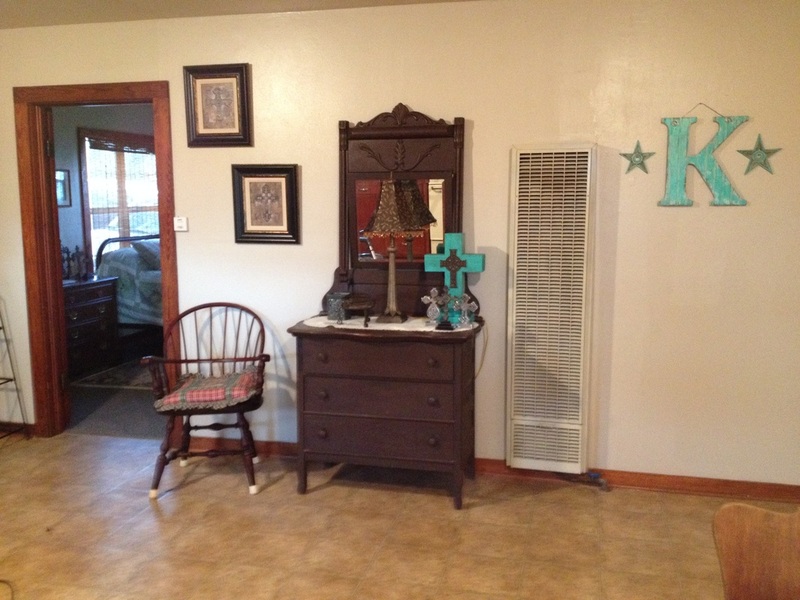 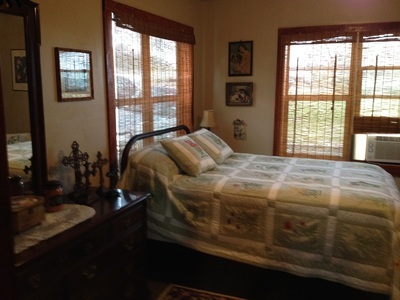 Come enjoy the peace and quiet of this cute country home. 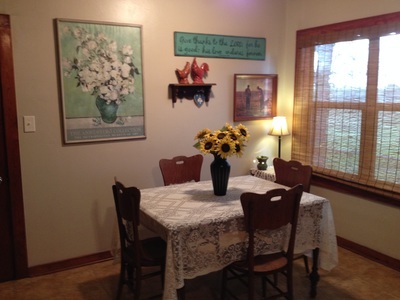 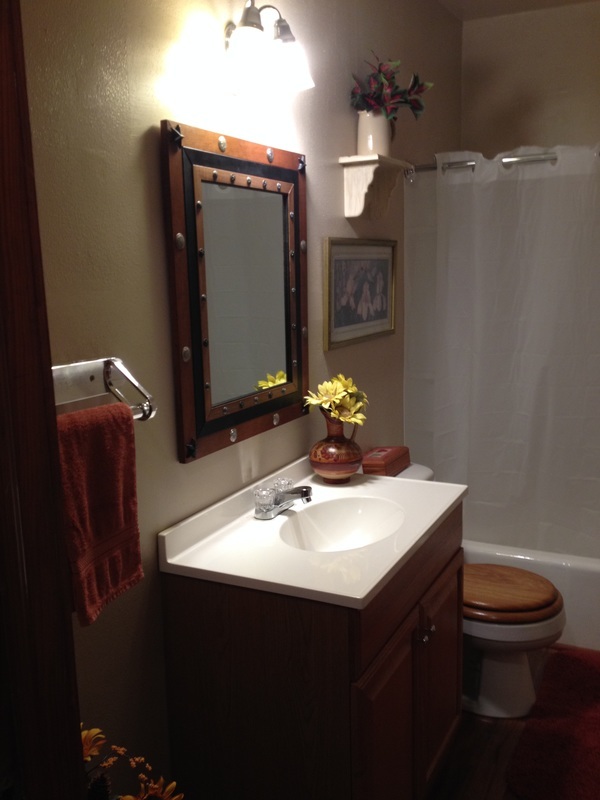 This is a charming two bedroom, one bath home, with a large kitchen/dining area, that sleeps a total of four people. 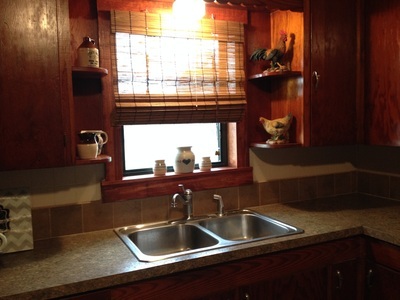 No breakfast--coffee available for your enjoyment (bring your own food).